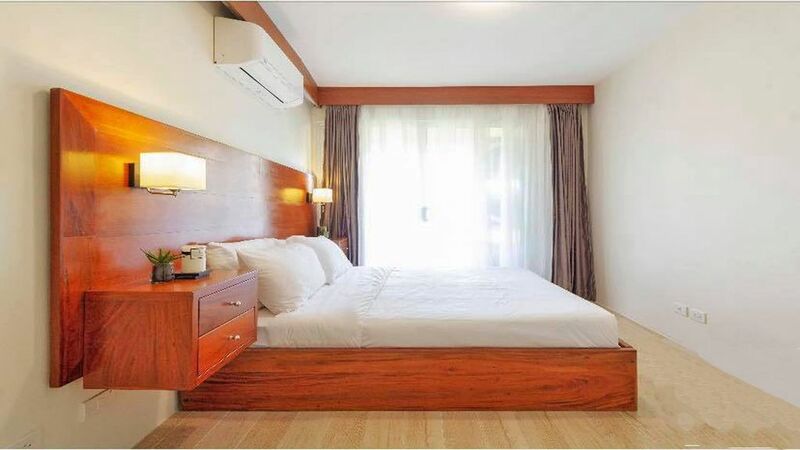 Cebu Amalfe Condo w/ free use Car/Van & minimum one night stay. Lavish yourself to a luxurious 2 BR condo at Amalfi by seaside. A newly built condominium building style villa immersed in the beautiful scenery of the Cebu Coast, an elegant seaside residence surrounded by the perennial blue of the Cebu City sea and sky, by luscious bougainvillea and by lovingly cultivated palm groves and fruit orchards. This is Cita Di Mare otherwise known as City by the Sea, a special place to experience the finest of Italian hospitality and lasting sensations of wellbeing. Lavish yourself to a luxurious 2 BR condo that can comfortably accommodate 6 guests with maximum capacity up to 6 guests. Located at one of the most sought after location in Cebu City, Amalfi Oasis Cita Di Mare' is a prime location with views of the mountains and the seas, surrounded by entertainment hubs, seaside dining, Ocean park, malls, and many more. The property is along Cebu South Coastal Road, stones throw away from seaside Restos' at Il Corso, SM mall where one can enjoy shopping, dining, great Cafe's, and so much more. We offer the following services: Free airport pick up services. Free 14 seater Toyota Van use during your stay subject to scheduling restriction with south road property area. Bathroom has a hot and cold water shower, toilet, and sink. We will provide one day supply of shampoo, conditioner, soap, toilet papers. We provide linens on your arrival. You can request cleaning and linen change for an additional fee. Dining area is spacious enough for 5-6 guests to enjoy their meal. Partial kitchen with portable single stove, Refrigerator, microwave, electric kettle, and basic utensils. Our place is not a hotel so there is no 24 hour front desk and no daily cleaning services. We provide ONE day supplies of basic commodities. We do have optional cleaning services with an extra service fee. We also have a private registered tourist van service (with driver) for all your travel needs to/fro/within/around the province of Cebu at an affordable rate. a way of life with a waterfront lifestyle strip and themed residential resorts inspired by some of the world’s best destinations. experience a lifestyle marked by freedom, pleasure, luxury and modernity at Citta di Mare. Seaside living in residential resorts. everything you need right in your neighborhood. Coastal pleasures at Il Corso. The world’s finest seaside playgrounds come to life at Il Corso, Citta di Mare’s 10.6-hectare lifestyle strip that takes full advantage of the seaside ambience. You have a watering hole, leisure central and cultural hotspot right by the water’s edge. boardwalk, terraced beach, marina, bars & cafes, restaurants, retail outlets, souvenir shops, exhibit tent, amphitheater and more!